When it comes to preventing pregnancy, you have many birth control options. Tina Mehta, DO, FACOG, and Melissa Kushlak, DO, FACOG, at Elite OB/GYN can help you wade through all your birth control options and help you make the best choice based on your sexual activity and pregnancy plans. Call the Fort Lauderdale, Florida, practice today or schedule your appointment online. Birth control is a means of preventing pregnancy, which may include a technique, medication, or device. Dr. Mehta and Dr. Kushlak review all of your birth control choices when you come in for a consultation. They’ll help you determine which method will work best for you based on your sexual activity, health, and future pregnancy plans. Your birth control options are extensive, but some methods work better than others. If you have no future plans of pregnancy, you may want to consider sterilization. The specialists at Elite OB/GYN use Essure®, which is a device that gets inserted into your fallopian tubes and overtime creates scar tissue to block sperm from reaching your egg. Birth control pills, patches, and shots are examples of hormonal methods of birth control. These types of birth control alter ovulation to prevent pregnancy. A barrier method of birth control blocks sperm from reaching the egg and includes diaphragms, cervical caps, and condoms. LARCs include intrauterine devices (IUDs) and hormonal implants that get inserted in your body and protect you from pregnancy for three to 10 years. An IUD is a T-shaped LARC that your specialist inserts in your uterus to prevent pregnancy. It’s one of the most effective methods of birth control and works by altering the movement of sperm so it can’t reach the egg. Mirena, Kyleena, and Lilletta are hormonal IUDs, while Paragard is nonhormonal. Like an IUD, a birth control implant is a LARC that can protect you from pregnancy for up to five years. The implant is placed in your arm and releases hormones that stop you from ovulating and alter the thickness of the mucus in your cervix, making it difficult for the sperm to swim to the egg. Elite OB/GYN uses Nexplanon®. 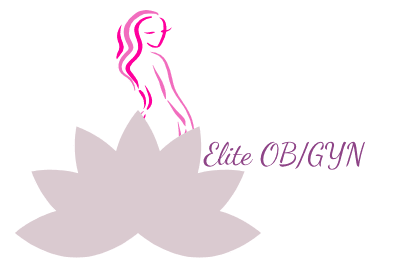 For the latest in birth control options, call the women’s health experts at Elite OB/GYN or schedule an appointment using the online booking button.